A1. Neurodiversity describes neurological differences that may be familiar, such as attention deficit disorder (ADD), attention deficit disorder with hyperactivity (ADHD), being on the autism spectrum and dyslexia. Neurodiversity also includes less commonly known neurological conditions such as dyscalculia, which is difficulty learning or understanding math and other number-related symbols, dysgraphia, difficulty with the ability to hand write or transcribe words on paper, and hypergraphia, a compulsion to write constantly, such as poetry, lists, diaries (see Neurodiversity as a Competitive Advantage, Harvard Business Review, May-June 2017). The incidence of autism in the United States is now one in 42 among boys and one in 189 among girls, according to the Centre for Disease Control and Prevention. Many of these people are underemployed. I believe that people who are skilled and hardworking should be able to earn a living. But HR departments are not always equipped or trained to recruit and hire the neurodiverse. For more details, read this February 2018 article from People Management.co.uk). Q2. 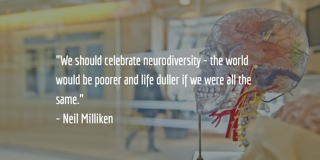 When and where did the idea of “Neurodiversity” come from? A2. The term Neurodiversity was coined by an Australian sociologist Judy Singer in 1988 in a thesis paper. In 1998 Harvey Blume popularized the word in an article in The Atlantic. But it’s only come into common use in the past few years. I love the term. It is an optimistic, nuanced, and progressive way of looking at what was once classified as a mental disability. Rather than pathologizing people who think differently, neurodiversity is about accommodating and including people who have different styles of thinking and processing. Even better, it’s about recognizing the unique skills and talents – assets, in other words, that can be put to work on complex tasks and problems. Those who learn, think or process information differently are not necessarily handicapped. Rather, they should be better integrated into the workforce because of their differences — and the difference that they can make. Q3. So, people who were previously labeled “disabled” can actually be “more abled” in certain areas? Historically, these differently-abled people have been treated differently in schools, at social events, and the workplace. Yet a person who is neurologically different only wants to be accepted the same way someone would want to be accepted for their sexual orientation, their race, religion or gender. That is, to be seen as what they are, and not what they aren’t. For example, research shows that autism and dyslexia can bestow special skills sets, such as pattern recognition, memory, and math talents. In a former job, for which I interviewed people for highly technical fields like applied physics, advanced applied mathematics, cryptography and engineering, I was almost suspicious when a candidate seemed too conventional. So many of the best applicants demonstrated different ways of thinking and processing. 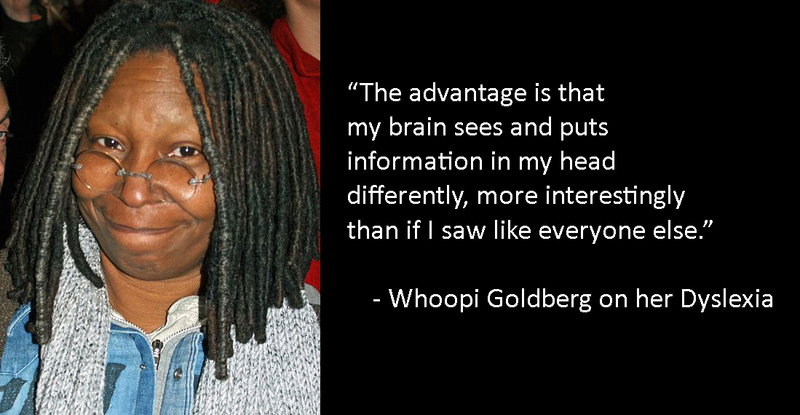 Their neurodiversity was the key to their higher-than-average abilities. Q4. We’ve seen genuine changes in the workplace over the past 15 or so years when it comes to gender and racial discrimination in many (or most) organizations. Can the same be said for discrimination against intellectual differences, disabilities or challenges? A4. I think we have a long way to go, but the conversation has finally started, and that gives me a reason to be optimistic. Q5. Do you see movement within the HR profession to revamp their practices when it comes to neurodiversity? What about hidden discrimination in hiring practices? “A growing number of prominent companies have reformed their HR processes in order to access neurodiverse talent; among them are SAP, Hewlett Packard Enterprise (HPE), Microsoft, Willis Towers Watson, Ford, and EY. Many others, including Caterpillar, Dell Technologies, Deloitte, IBM, JPMorgan Chase, and UBS, have start-up or exploratory efforts under way.” – Neurodiversity as a Competitive Advantage. In other words, some of these big corporate players are seeing the benefits of hiring and leveraging the abilities of neurodiverse workers. 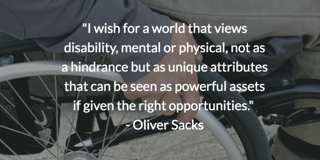 I’m excited to see the light starting to shine on neurodiversity as a competitive advantage. In my past work experience, I was able to adapt tests and hiring processes to evaluate relevant behaviours, without creating an adverse impact on people with these types of issues. My focus is always on evaluating relevant work-related behaviours during the hiring process. My approach to hiring makes it easier for employers to focus on selecting job applicants who have the qualities that will have the biggest impact in the workplace – even if the applicants are not neurotypical. I believe that people who are skilled and hardworking should be able to make a living. And I know that is easier said than done. For someone who is seeking work and is not a “neurotypical,” the challenge is ten-fold. Coaching can help.